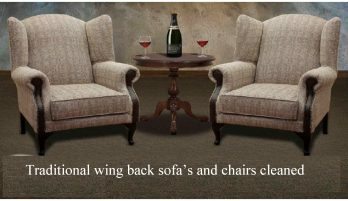 We provide the cleaning of upholstery in Cheshire including fabric suites, sofa’s, chairs and also leather furniture. 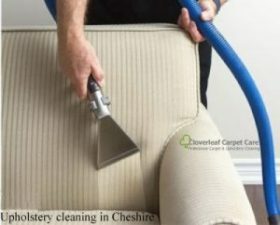 If your looking for Upholstery cleaning Cheshire, your in the right place! Our service can restore and brighten the fabric to your sofa or suite by dissolving the residue of dirt whilst also removing odours and most types of stains and soiling. 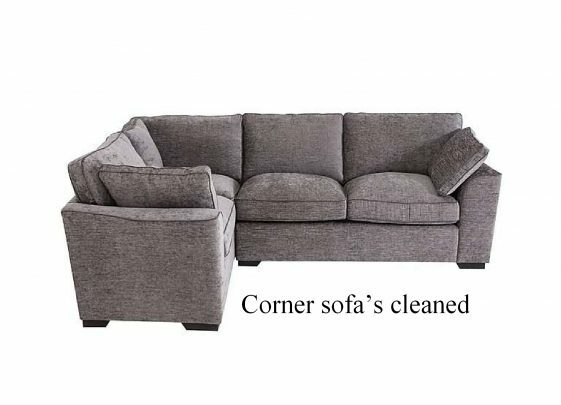 Sofa, suite and chair cleaning is a service that we provide to most areas across Cheshire. Many types of suite fabrics can be cleaned including cotton fabrics, suedette (synthetic suede), chenille fabric and many more. Established in 2001 with more than 18 years experience, most of our work comes from clients that recommend us to friends and family and who are delighted with the results of their freshly cleaned furniture. Alderley Edge, Altrincham, Chelford, Crewe, Frodsham, Hale, Holmes Chapel, Kelsall, Knutsford, Lymm, Middlewich, Nantwich, Northwich, Sandbach, Tarporley, Winsford and Wilmslow. Upholstery cleaned with with state of the art equipment and the best quality cleaning products. The cleaning product we apply, dissolves the soiling which is then removed by a powerful hot water extraction process as can be seen in the photo opposite. Upholstery cleaning can be labour intensive and time consuming. 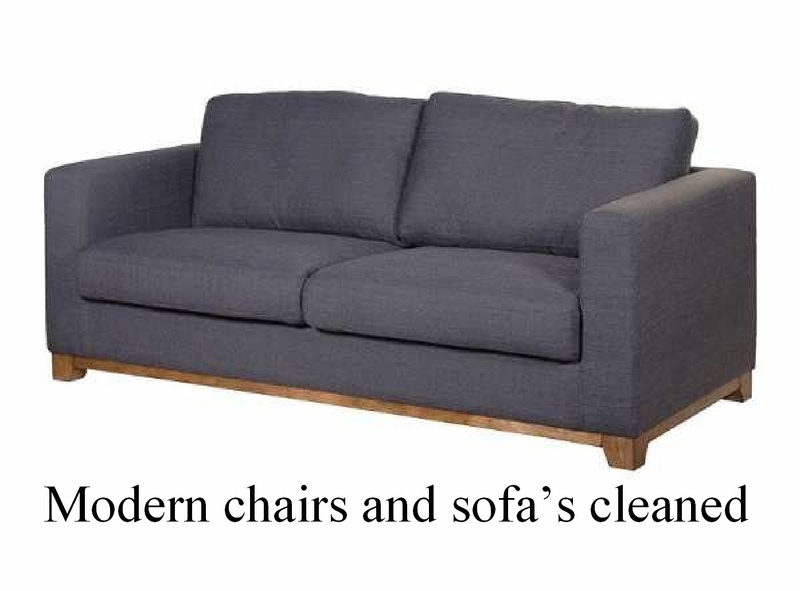 An average three piece suite, consisting of ten cushions can take up to four hours to clean due to the surface area and will be lightly damp when finished. Therefore if you make an appointment, it may be benificial to have your upholstery cleaned during a morning appointment so the fabric can be ready to use the following day. Perhaps you may need just a sofa cleaning or a single chair, no job is too small. We also clean dining room chair pads including commercial seating and larger communal bench seating. Depending on the amount of use, Upholstery can be cleaned annually or every few years which will keep it in tip top fresh condition. Fabric protector to resist spillages to upholstery. 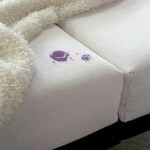 Upholstery fabric protection offers resistance to liquid spillages. Once applied, most liquids spilled on the fabric will tend to roll off or bead on the material, rather than soak in. This allows time to deal with the spillage and will help avoid the liquid soaking in and becoming difficult to remove. We can apply StainShield fabric upholstery protector at an additional cost. This is applied immediately after the upholstery has been cleaned. The video opposite shows the cleaning process used for your upholstery. This particular suite was quite heavily soiled and the results are outstanding. 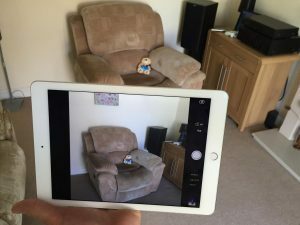 The client was delighted that her sofa and arm chairs were brought back to virtually as new condition! Set control to ”HD 1080p” for better viewing. 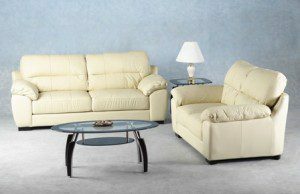 We also offer the cleaning of leather furniture in Cheshire. Eventually through several years of use, leather furniture, especially light colours such as cream may require cleaning due to dirt and soil settling into the surface. 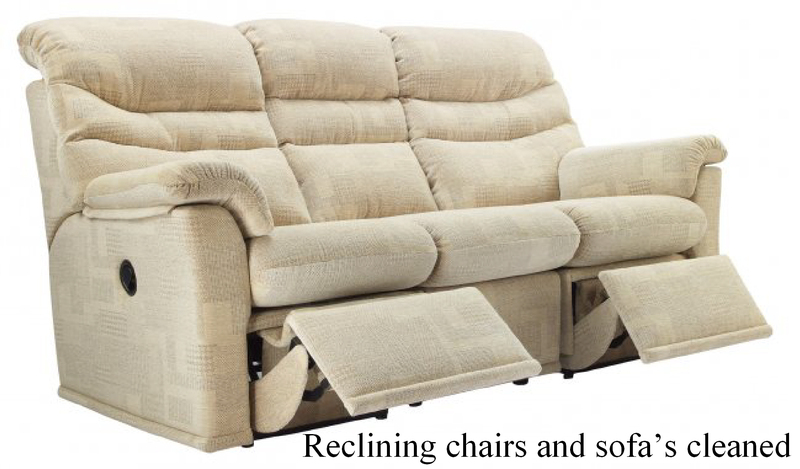 We use specialist cleaning method that can bring your sofas or suites back to life. Commercial Upholstery Cleaning also carried out to offices, shops, pubs, hotels and more. Should you be having your upholstery cleaned, why not inquire about having your carpets freshly cleaned and get a free no obligation quotation. Can you clean all types of upholstery? Most types of houshold upholstery fabrics can be successfully cleaned. There are just a few types of upholstery that cannot be wet cleaned that are sensitive to wet cleaning. All fabrics are identified or pretested before the work is carried out. Can you remove the stains from my upholstery? Most types of stains will come out during the cleaning of your upholstery. However some types of stains such as tea & coffee spillages, food dye, cotton water marks and blood may not come out due to having permanently changed the colour of the fabric. Every effort is made to remove the stains from your upholstery. If you have a particular issue with staining that concerns you, please mention it when you initially get in touch to make an enquiry. The time taken to clean upholstery can vary depending on the design and type of fabric. A typical three piece suite with 10 cushions for example can take around three to four hours. A two seat sofa may take up to one and a half hours for a single visit. 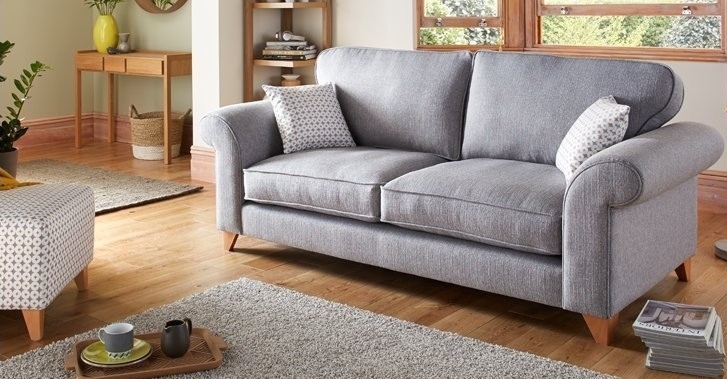 Most types of upholstery will be dry the next day or evening and be ready to use providing the work is carried out during a morning appointment. If the work is carried out later in the day or afternoon, your upholstery may not be quite ready to use the following day. Good ventilation and non humid conditions will also speed up drying times. Do I need stain protection on my upholstery and what does it do? It is a matter of choice whether you have stain protection applied following the cleaning of you upholstery. Some types of synthetic materials do not really require stain protector as they are already stain resistant. However many types of upholstery such as cotton can benefit from an application. It offers a little extra resistance from re-soiling but what it is mainly intended for is that splillages will tend to run off or bead on the material allowing time to remove the spill without it being absorbed into the fibres. Stain protection usually lasts for around 3 years, so if your upholstery was protected at some time previously it may no longer be offering protection. There is an additional cost to have stain protection applied. 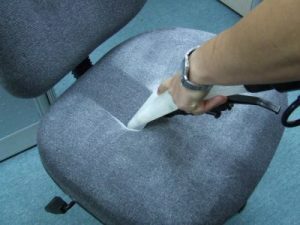 How do I get a quotation for upholstery cleaning? Prices are dependant on the type of furniture you have and the time it takes to clean them as there many different types and designs. In some circumstances it may be necessary to call and visit to look at your upholstery. It may be possible to give an estimate over the phone from your description in some cases. However in most cases an accurate quote can be given if you are able to send a photo of each item that requires cleaning. The information needed is a description of the fabric and how many reversible cushions there are. As an example, a single arm chair where the cushions are used both sides would have 2 reversable cushions, whereas some chairs have fixed cushions that are non reversable. Sending photos for a quote can be done in 2 ways. You can send photos from your phone or tablet to my mobile 07764 254 898 – or by email to cheshireclean@gmail.com but please make a phone enquiry first. Ensure each photo is clear and each item of furniture is fully inside the frame as below. 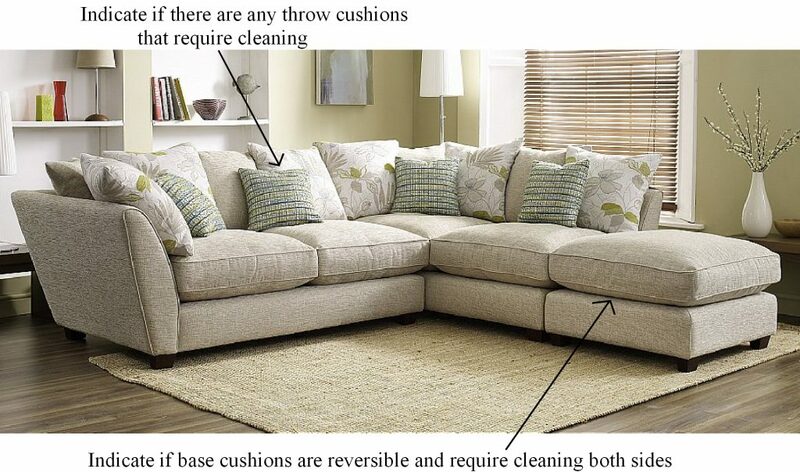 Indicate if cushions are revesible or fixed either on the back or base…..